This is a great tour combining almost all of nature’s beauty in Southern India. Starting with the beautiful backwaters and Kumarakom Bird sanctuary, you will cover Cardamom hills and Blue Mountains to Bandhipur. Highlights: Thettekad Bird Sanctuary/Rajamalai National Park in Munnar / Periyar Wildlife sanctuary /Kumarakom Bird Sanctuary/Vythiri resort in Wayanad/ Bandipur National Park / Ranganathittu Bird Sanctuary in Mysore. Arrive at Kochi airport. You will be picked up from the airport and will be transferred to your hotel in Kochi. Check in at the hotel; rest of the day is at leisure. Dinner and overnight stay at the hotel. After a leisurely breakfast, checkout and proceed to Thettekad. Thattekkad Bird Sanctuary is one of the most popular National Parks of Kerala.This bird sanctuary is situated in the dense tropical evergreen and deciduous forests and grassland patches. Check in at the hotel; overnight stay at the hotel. The Thattekad Sanctuary is located in the Kothamangalam Taluk of Ernakulam district on the northern bank of the Periyar river. It attracts a large number of nature lovers especially bird watchers. Thattekad was developed by the untiring efforts of India’s birdman Dr Salim Ali; hence it also sometimes referred to as Salim Ali Bird Sanctuary. After a leisurely breakfast, the day is at leisure at the resort. Dinner and overnight stay at the resort. Check out at 12 00 noon and proceed to Munnar. Check in at the hotel/resort. Dinner and overnight stay at the resort. Proceed to visit Pothamedu which offers you an excellent view of the tea, coffee and cardamom plantations. Famous for the breathtaking scenery it is also an ideal place for trekking and long mountain walks. Also visit Devikulam; this tranquil hill station offers you a rare experience with its velvet lawns and the cool mountain air. You can also visit Rajamala where you can spot Nilgiri Thar (mountain goat), then the Echo point where nature reproduces your sound. Return to the hotel in the evening for an overnight stay. Check out from the hotel and proceed to Thekkady which is 130 km / 4 hrs from Munnar. After a relaxed morning drive from the land of tea plantations into the heart of the spice hills in Thekkady, the afternoon is kept free for you to enjoy a walk through the bustling spice market of Kumali village in Thekkady. After a leisurely breakfast visit the Periyar Wildlife Sanctuary, one of India’s biggest wildlife sanctuaries covering 777 sq. Km (300 Sq. miles)and is a Tiger Reserve. Its centerpiece, the man-made Periyar Lake at the height of 2000 ft. covers 26 sq. km, running through the forests of the Western Ghats in Kerala. Animals found here include elephant, sambhar, gaur and wild boars and birds like ibis and grey heron. With a bit of extra luck, we may be able to see the rare tiger as well. Later in the evening take a tour of the spice plantations to see crops of cardamom, cinnamon, pepper, coffee, tea estates etc. ; on your way back to the hotel you could stop at the local market and pick up some fragrant spices. Overnight at the hotel in Periyar. Today, go for an early morning boat ride on Lake Periyar which is the best way to see some wildlife (boats can be hired directly). The park has herds of elephants, deer’s, and wild dogs, barking deer, sambhar, gaurs and wild boars. In the afternoon take a picturesque drive to Kumarakom located on the idyllic backwaters and an unbelievable paradise of mangroves forests, paddy fields and coconut groves. Check into your hotel on arrival. The rest of the evening is at leisure. Check out after breakfast and proceed to Kochi. On arrival at Kochi, check in at the hotel. Later proceed for a tour of Cochin. Places of interest including Dutch Palace, Jewish Synagogue, Jews Street, St. Francis Church, Chinese Fishing Net and Indo-Portuguese Museum. Return to the hotel for an overnight stay . Check out after breakfast and proceed to Wayanad. Check in at the resort in the evening. Dinner and overnight stay at the resort. Vythiri is a hilly region of natural beauty situated in the Wayanad district of Kerala. This mesmerizing place lures tourists for its mist- enveloped soaring peaks, olive foliage, copious spice and rubber plantations, tea and coffee gardens, evergreen rain forests with diversified flora and fauna, spell-binding white foamy waterfalls, sparkling streamlets and romantic stays at tree-top houses and resorts. Vythiri would be the ideal place for nature lovers to explore .It is also great for trekking. This place has a renowned wildlife sanctuary .Vythiri is a place with a serene ambience set far away from the dirt and grime of the city where you can rejuvenate your soul and senses. After breakfast, proceed for a full day sightseeing of Vythiri. Overnight stay at Vythiri. Check out after breakfast and proceed to Bandipur. Bandipur forests with its deciduous habitat is the ideal spot for viewing animals like elephant, gaur, wild boar, sambhar, spotted deer or wild dogs and there is always the bonus of sighting the elusive predators like tiger or leopard. Check in at the resort. Overnight stay at the resort in Bandipur. Morning is at leisure. In the afternoon go on a Jeep Safari to the Bandipur National Park. The whole area from Vythiri to Bandipur spreading into the 3 states of Kerala, Tamil Nadu and Karnataka is called Niligri Biosphere Reserve, which is arguably the best remaining stretch of habitat for Asian elephants and encompasses an area of about 4,500 Sq. km. Check out after breakfast at 10 00 clock and proceed to Mysore – known for its magnificent palaces and majestic buildings. Check in at hotel; in the evening visit the Brindavan Gardens, Chamundi hills and the Maharajas Palace. Return to the hotel for an overnight stay. In the morning visit the Ranganthittu bird sanctuary by boat. 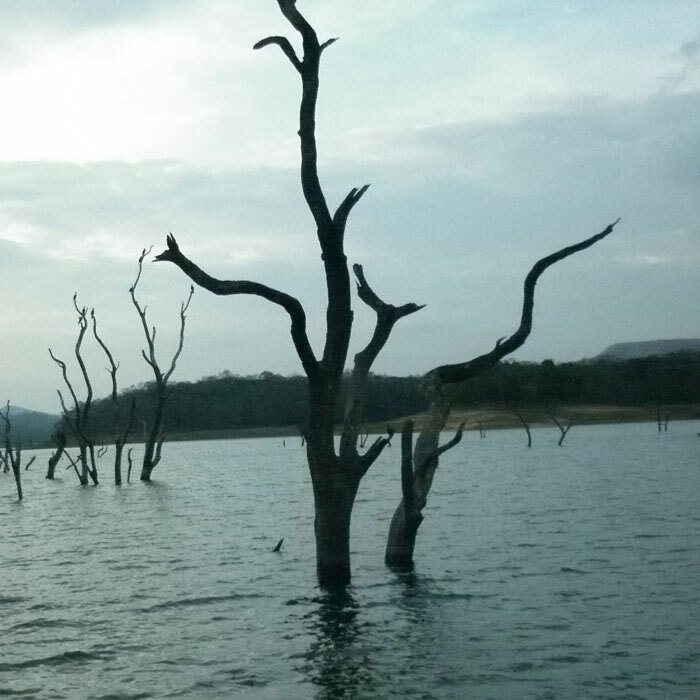 Ranganthittu is a picturesque island on the Cauvery River. In the migration season (June- Dec) thousands of exotic migratory birds wing their way to Ranganthittu and overcrowd the wooded area on both banks of the river Cauvery.Proceed to Bangalore in the afternoon. You will be transferred to Bangalore Airport for the flight back home. Tour Ends.